A guide for any organization looking to accelerate its social performance – whether starting the sustainability journey or looking for deeper integration and more meaningful impacts. 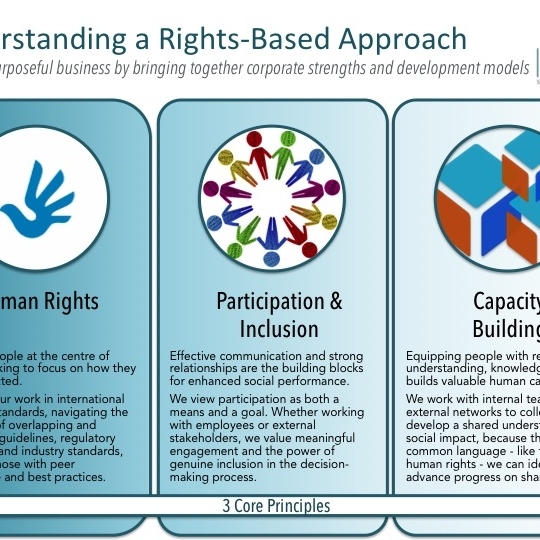 Our framework helps your organization identify gaps and opportunities to enhance your social impact management framework. 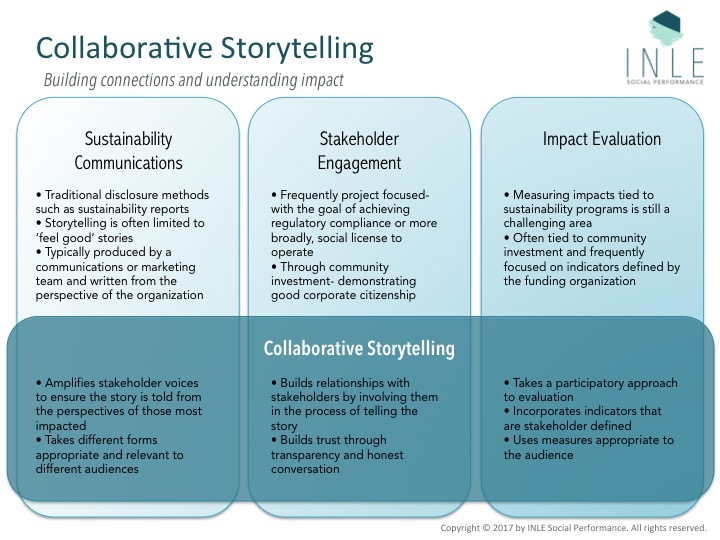 INLE's unique methodology, bringing together sustainability communications, stakeholder engagement and impact evaluation. A visual representation of our approach and a comparison with traditional models of social impact management.